We receive a lot of questions asking how to search for folders or get folder paths in Outlook. 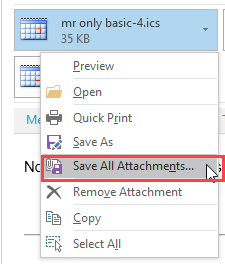 Unfortunately, it's not possible to search for folders and when you search for contents of a folder, Outlook doesn't show the folder path in the search dialog, only the name of the folder the item is in. The folder name is also shown on the File tab of an opened message, next to the Move to folder command (Outlook 2010 and newer). If you don't need to locate the folder a message is stored in very often, you can use Advanced Find to see where the folder a particular message is stored in. To find the folder a message is stored in when using Outlook 2007 and newer, use Instant Search to find a message that is stored in folder then use Advanced Find (Ctrl-Shift-F) to see where the folder is. Run an Instant Search (or Advanced Find) to find an e-mail in the "target" folder. 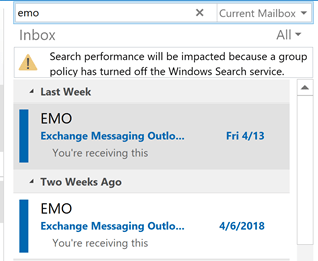 Don't forget to select All Mail items (Current Mailbox or All Mailboxes in Outlook 2013) or All Subfolders from the Search toolbar. Open (double-click) a message you know is in the folder. Press Ctrl-Shift-F to open Advanced Find. Click the Browse button to reveal the full path to the e-mail. If you're using older versions of Outlook and Windows, desktop search will include the folder path in folder_name\subfolder\subfolder\subfolder format, often completing the search within seconds. 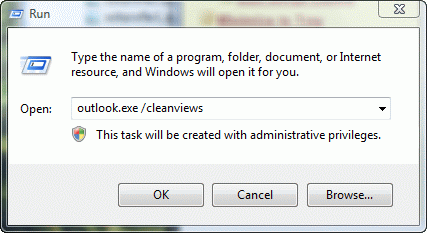 This does not work in Outlook 2013 and newer or Windows 8 and newer. Published May 13, 2011. 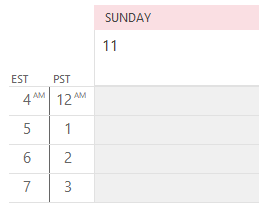 Last updated on May 13, 2016. The advanced search can work for not archived email. The script can only be used by users who have access to PowerShell. Thank you, very helpful. I wish MS made this info easier to find! Thanks, that works really well! Very useful. For those commenting that you can use "Move", then "Other folder", for me this is showing the last folder I moved an email to, not the folder the current email is in. Perhaps it worked for you by coincidence?